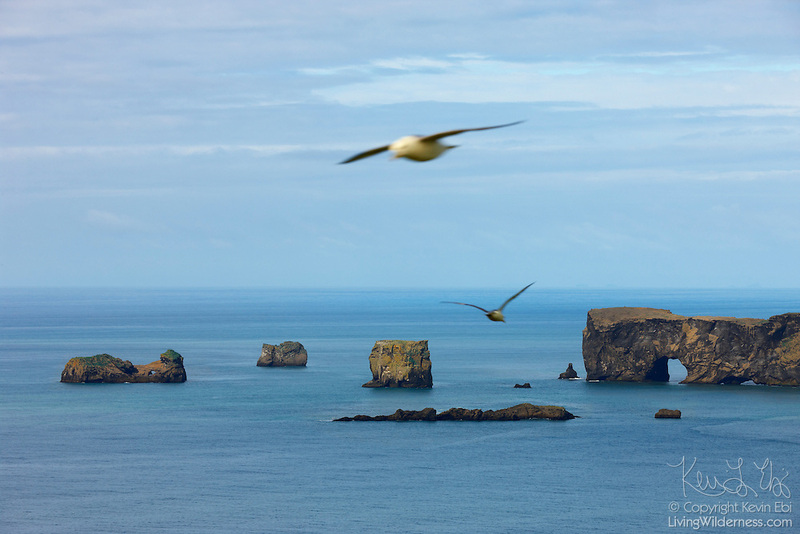 Two fulmars fly between the southern coast of Iceland and the Dyrhólaey peninsula. The peninsula features several sea arches, resulting its name, which means "the island with the hill door." During the early summer, thousands of fulmars (Fulmarus glacialis) nest on rocky cliffs throughout Iceland.